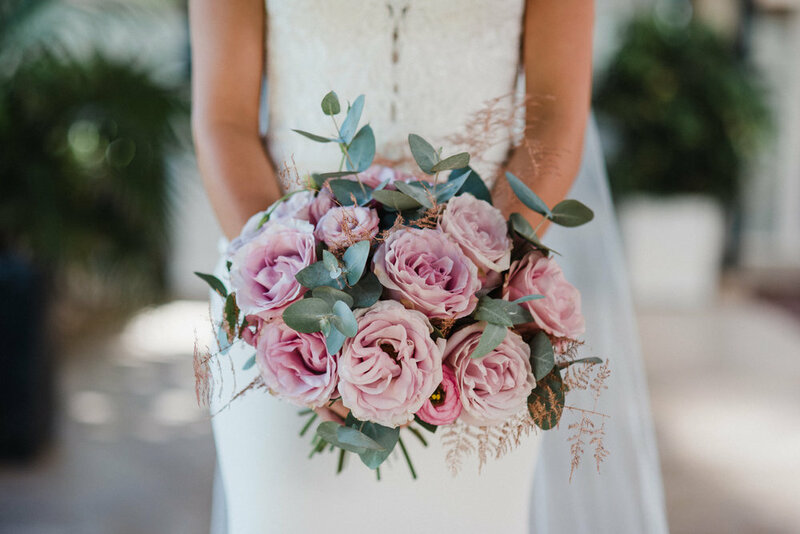 This is a unique opportunity to join Reviva Weddings and Bloomfield Photography for an intimate styled shoot on the 11th April 2019 at the Hacienda Nadales in Malaga. Pre Release UPDATE: Only 4 spaces remain. The theme for this wedding shoot is ´Luxe Boho Botanical Garden´ set in the beautiful grounds of the historical Hacienda which includes a magnificent garden, mature trees, botanical plants, water features and a charming rustic glass conservatory. 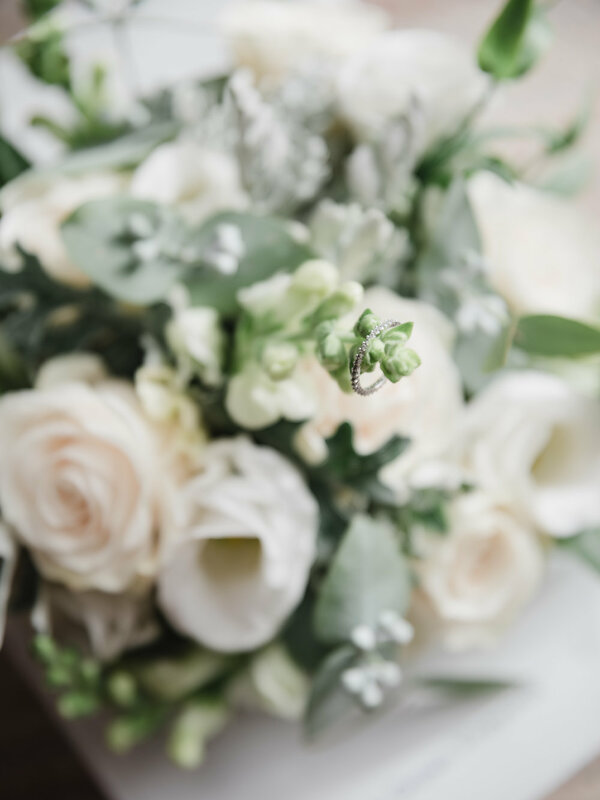 A perfect experience for established wedding professionals, emerging talents and creative stylists wanting to learn more about how a styled shoot is created whilst gaining valuable social media ready content. As a stylist or creator, it is key that you are able to understand how to create beautiful brand imagery that will attract your ideal clients; we will show you how to do this and talk through our working processes. 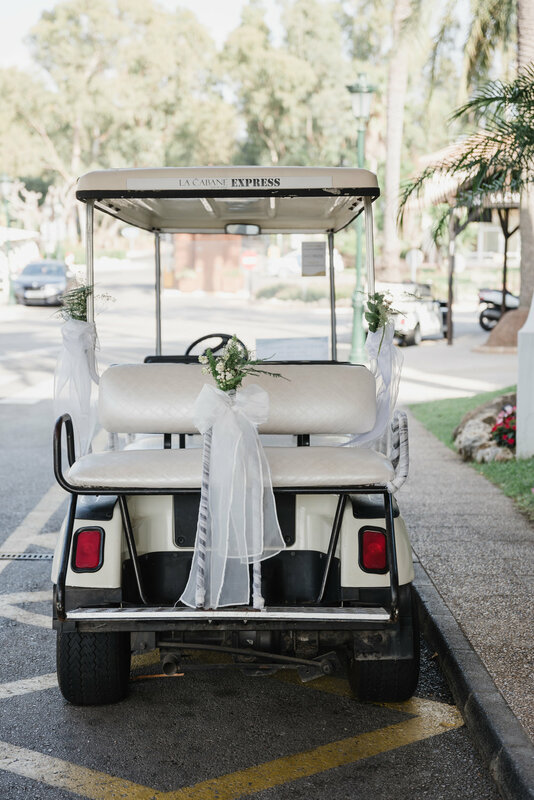 We have many wonderful sponsors on board this shoot and you will be actively involved in the setup, decoration and styling under the direction of Laura from Reviva Weddings and Helen from Bloomfield Photography. We will provide models, a beautiful range of florals, props and accessories to allow you to create your own setups and flat lays, as well as working on the main shoot. Helen of Bloomfield Photography will aid you in creating these flat lays from the perspective of a photographer. Your creations will then be photographed by Bloomfield Photography. This is also a brilliant opportunity to engage and build relationships with established wedding suppliers in the industry who are sponsoring this shoot. You will also receive your own private gallery of 20+ images from Bloomfield Photography of the workshop, your personal creations you have styled during the day and photos of you at work. We are often asked by our couples what tips we can give to help them prepare for their day. Here are a few ideas that we hope can help on you on your wedding day. 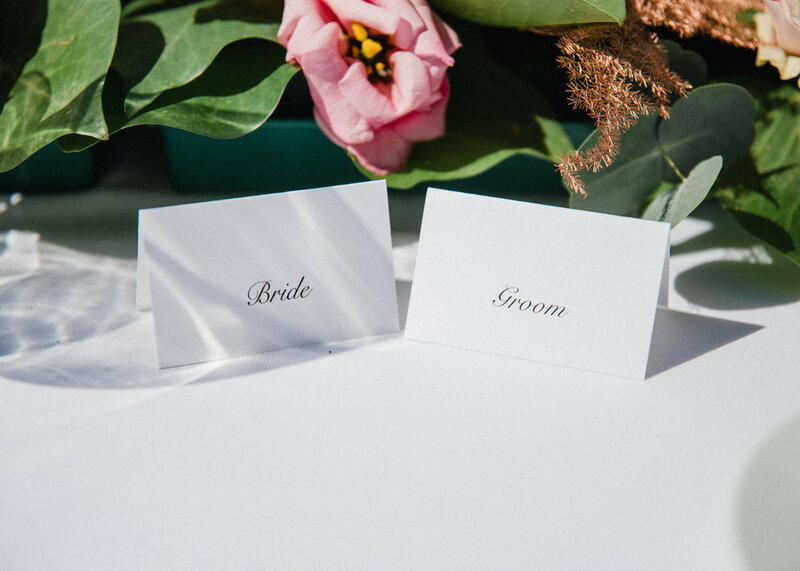 In addition to these ideas, we send all of our couples a help sheet to give them a few more ideas nearer their wedding date in order to get the best out of their wedding photos. It can be helpful to consider making a mood board of wedding photos that you like and share them with us. Often we find that you like certain aspects of our work. This can really help us get to know your wishes. Schedule adequate time for each stage of the day - some people want more photography, some just a little. As long as adequate time is set aside for your photographic wishes then we can make your plans work seamlessly. For example if you would like photos of bridesmaids/groomsmen before the ceremony, schedule a few minutes into your timeline at this and each stage of your day. Consider booking your make up artist about 30 minutes earlier than you think necessary - this prevents us being short of time for pre-ceremony portraits due to hair and makeup over running, which can cause delays throughout your schedule. If you want time for pre-wedding bridal/groom portraits or time for portraits with family or bridesmaids/groomsmen before your ceremony, then allocating time is useful and this is once your H/MUA has finished. As a bride or bridesmaid when walking down the aisle don’t look down and don’t hurry. Touch and look at each other during your ceremony. Don’t rush your first kiss - go back in for a second! It’s your wedding day, after all. Consider going phone free for the ceremony and group shots. It helps us work more quickly, looks so much better in photographs and encourages your guest to switch off and live in the moment. Depending on the time of year there will be different lighting conditions. Consider planning time for a second portrait shoot as a couple just before sunset - if you wish to visit a location please schedule in more time. You can arrange this with us / your wedding planners. For the group photos try to keep the list small and assign two confident people to gather together family members and friends - they will know key people on the day, saving time. Confetti cannons, sparklers and fireworks are all visually spectacular can all add to the evening entertainment, your first dance and your evening exit. Consider a pre-wedding shoot; it gives you a practise run and valuable experience of being in front of the camera along with extra time to discuss your wedding plans. We also offer post-wedding photoshoots that allow us to visit spectacular locations a few days after your wedding. Wedding planners and high-quality vendors will make such a difference. We believe that experience, professionalism, and ambition to provide excellent service set experts apart from other options available. We will happily recommend some excellent wedding planners & stylists to any of our clients. They really are worth their weight in gold and have the ability to create a truly memorable wedding day. 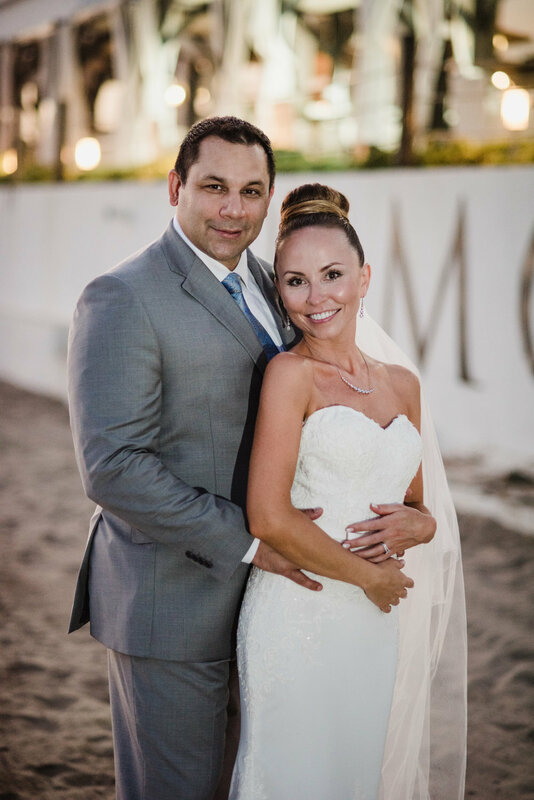 These wonderful people flew in from their home in a beautiful part of Southern California to get married at the exclusive La Cabane Beach Club at Los Monteros Hotel. They married just as the summer was ending and the autumn was about to begin; a time that lends itself well to beautiful sunsets and very warm, but not stiflingly hot evenings. One of the great aspects of getting married in Southern Spain is the weather that accompanies. I believe the Californian, Canadian and Russian guests were all more than pleasantly surprised by the warm evening at an 8.30pm wedding. One of the other unexpected joys of Southern Spain is the variety of venues; La Cabane is a modern, chic venue with exquisite dining & catering, views of the Mediterranean, pretty Andalusian external architecture mixed with ultra modern internal facilities. It also has the added bonus of attached to a prestigious 5* hotel. It is a very different feel to some of the more rustic, rural mountainous venues only a few minutes away, yet La Cabane has a charm that separates it from other prestigious beach clubs in Marbella. Both Valentina and Simon were lighthearted and kind in their every interaction and have a North American directness that is an endearing mix; I’ve spent a lot of my life in North America so they felt somewhat reminiscent of old friends. Their friends and guests were also friendly, welcoming and highly sociable. After they had finished ‘joining tables’ at dinner, they partied late into the night enjoying the beautiful food and entertainment provided by Los Monteros at La Cabane. We had our first look over the photos and we were absolutely blown away by them! You have done such a great job and they really took us through all the emotions of the day again which was brilliant...they also helped to fill in a lot of the missing memories which we had from what seemed like a whirlwind of the day”. We first met Harriet and Sean in North London not long after we relocated to Spain. It was a cold evening and we found a warm fire lit corner of a beautiful pub to discuss their wedding plans. We clicked with them straight away; they are warm, kind people who were easy to get to know and talk with. Even throughout their wedding day they both checked in with us and the videographer to ensure that we had been well looked after by the venue (we had) which is always an appreciated gesture. Even the bride’s father made sure that we were enjoying ourselves! Harriet and Sean had a beautiful day at Ham Polo Club along with their kind-hearted friends and family. They were genuinely a joy to work with and wish them every happiness in the future. Sophie and Luke are a young, fun, energetic couple who were incredibly easy to work with. They were laid back and made for great company. Likewise, their friends were ready to party, yet kind and courteous. Sophie had her preparations in a beautiful suite at the Hotel Amare on the edge of Marbella Old Town. The hotel gave her bridesmaids a huge preparation room where friends and family members started the celebrations early. Their chosen wedding venue was Finca Amalur overlooking the Mediterranean Sea and parts of Marbella along with stunning views of La Concha - not many people know that Marbella is located at the bottom of a mountain range that is 1200 meters in height, which makes it taller than any mountain range in England, Wales or N.I. and just shy of Ben Nevis in Scotland which is the only British Mountain taller than La Concha. 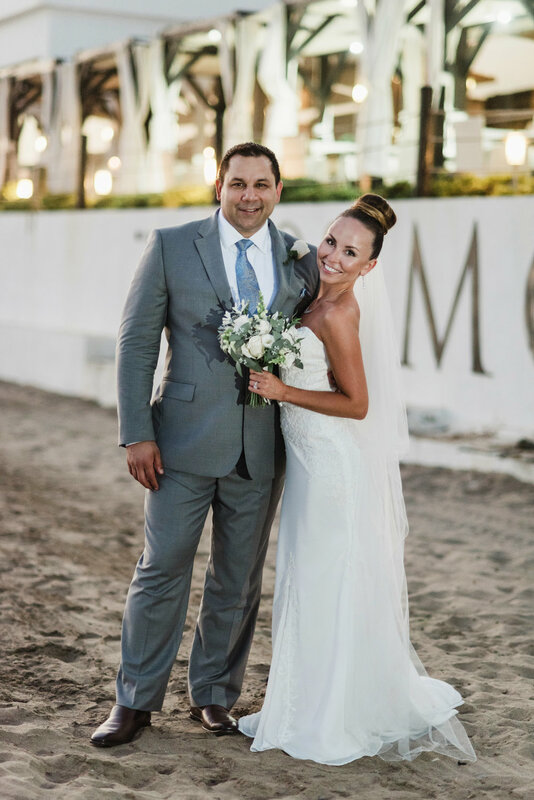 With the sun setting across the mountains, views of the Mediterranean Sea and their guests enjoying the entertainment of the day, it is safe to say that their wedding day was a wonderful event for all involved. The sun was setting across Worthy Farm when Nick got down on one knee and asked Ysella to marry him. It therefore came as no surprise to me that Ysella and Nick has chosen a festival theme for their wedding in their native Devon. Ysella is and Nick are old friends of mine (I lived next door to Ysella at university) who have recently set up their own pop up restaurant, with dreams of making it a full time venture. They are kind, lovable people who are great company and fantastic hosts. Festivals, fresh food (as demonstrated in their pop up restaurant), long walks, camping, adventures and the South West of England are part of their identity and the things they love. One of the many things that they got so right on their wedding day, is that they reflected who they are in their celebration. It was an emotional, caring and somewhat windy ceremony that got the festival vibe just right. Their day had everything that a festival should have; live music, fantastic food, vibrant colours, and some phenomenal glamping tents to put your head down at the end of their two day wedding. Here are a few photos from their day. We have known Billie & Billy for several years now; they too are a couple who work together so perhaps we have a deeper understanding of each other than many couples do… it takes a certain person to be able to work with their partner! Billie & Billy rebuilt our old photo studio and office space to make it safe for our daughter, their skilled carpentry was in keeping with the 400 year old building we set up our company in, so it is no surprise that Billy planned to propose with a self made proposal ring (photographed). If you followed us on instagram back in 2015 you will have seen their handy work. When Billie contacted us to photograph their wedding day in Malaga at the place they first met, we welcomed the opportunity to photograph and celebrate with them with open arms. It was great to catch up with them, to hear about their engagement in person and eat all of the tapas. We certainly did eat! We really cannot wait to be a part of their beautiful wedding day, and to see all that they have planned for it. Having a pre wedding photo shoot is a great way to gain confidence in front of the camera and to get to know us, to go to a location that is meaningful to you both. Forget about the cheesy staged shots, let's go to a mountain, beach, landmark or somewhere that just makes you stop and go wow. It's time to relax and have fun in the sun or maybe under the stars... We know that our couples are all different so we try and plan to make things as unique and personal to you as we can. We met Andrea and Barry in Nueva Andalusia last year and immediately felt at ease with them. They are kind hearted, relaxed people and we knew that we would get along with them fantastically on their big day. People often underestimate how important a bond is between themselves and their photographer can be; when you click with someone you feel that you can trust them and the couple felt happy to entrust their wedding day to us. These are a few of our favourite images from their day. You can find a few others on our galleries.